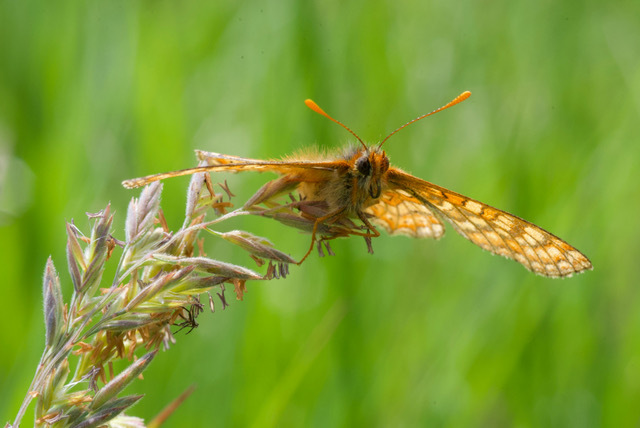 Early in June a group visited Shallowford to photograph the rare Marsh Fritillary butterfly in regards to promote and sell wildlife friendly food, highlighting rare or at risk creatures which include the Marsh Fritillary. 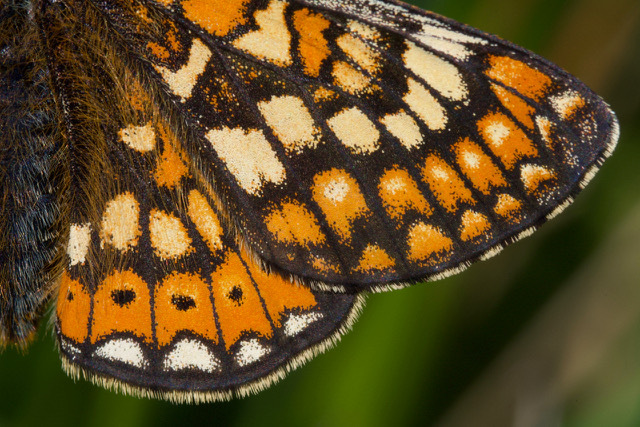 Former BBC Natural History Unit film maker Tim Martin has been at Shallowford filming and photographing critically endangered marsh fritillary butterflies for a new wildlife friendly food scheme that will be launching next year, and he found that here at least this little butterfly, with its exquisitely patterned orange and brown wings, is thriving. 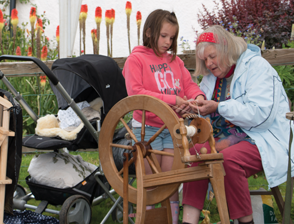 East Shallowford Farm is home one of Britain’s most precious natural treasures: rhos pasture, and all the rare plants and animals it supports. These damp meadows are incredibly inspiring places, and they remind you just how diverse and brimming with life a British meadow can be. 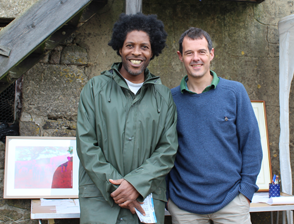 And for a lifelong naturalist and butterfly enthusiast like me spending a couple of sunny days at Shallowford was an absolute treat. 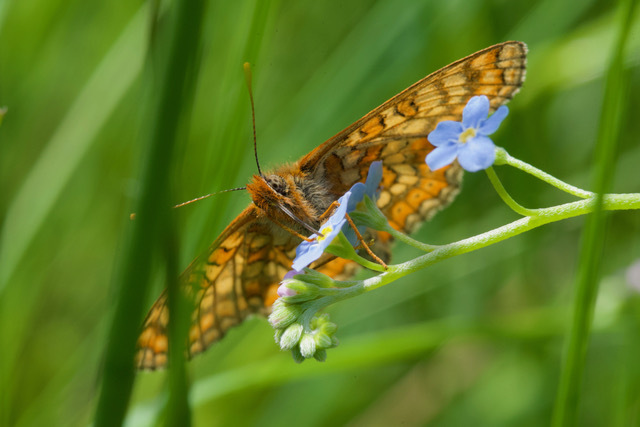 I came here in early June, with cameraman Mike Hutchinson, to film and photograph marsh fritillaries because they are key to a scheme I’m setting up to promote wildlife friendly food in the UK. Rhos pastures need to be grazed for this butterfly’s food plant, devils bit scabious, to thrive. 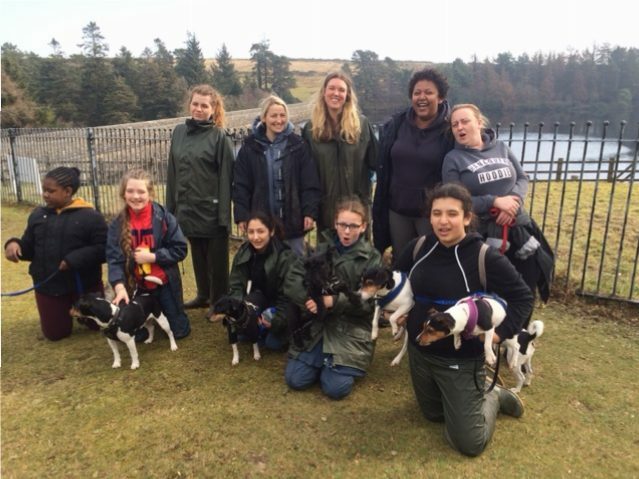 And only by the right animals – either cattle or (as in the case of Shallowford) horses. Sheep graze the plants too low and don’t churn the soil sufficiently. 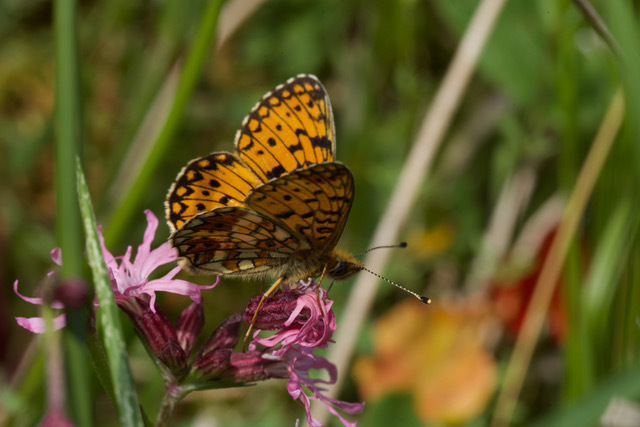 Marsh fritillaries have declined massively across the UK over the last 50 years, but in the few remaining areas where they are found, charity Butterfly Conservation is working closely with farmers to make sure their habitat is managed so that the butterflies can start to recover. 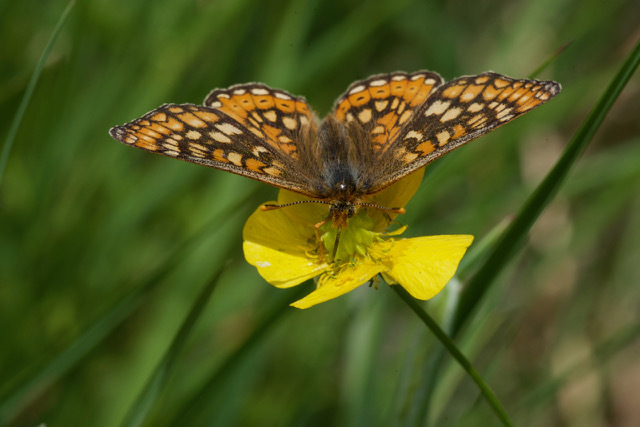 Clearly this work is paying off because Shallowford’s pastures were absolutely buzzing with bugs of all kinds, including dozens of marsh fritillaries, and a few of the equally threatened small pearl bordered fritillary. Looking after these butterflies means ensuring that farmers are looked after too, and that they are recognised and rewarded for the tremendous work they do managing this rare habitat. That’s where our butterfly beef comes in. 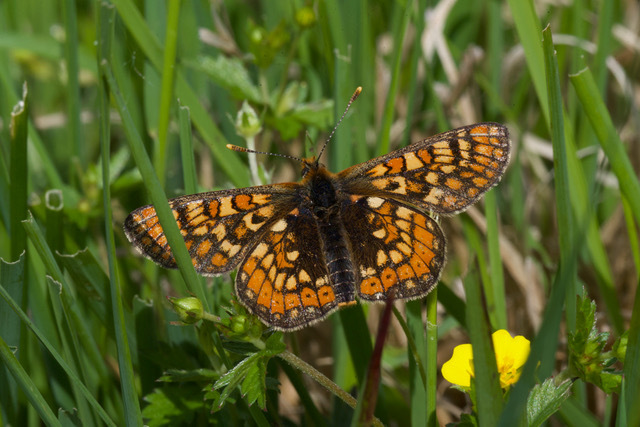 By selling beef from rhos pastures and marketing it as benefitting rare butterflies we will be raising awareness of the plight of our rarest farmland wildlife, and by paying farmers a better price we will incentivise farmers to care for endangered species like the marsh fritillary. 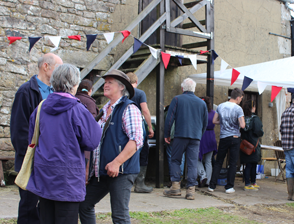 We are in the process of setting up and funding the social enterprise that will run the scheme, and we aim to have the butterfly beef on sale online early next year, as part of a growing range of foods from farmers that go the extra mile to protect rare plants and animals on their land. Anyone wanting to hear more about the scheme can contact me on timwmartin@mac.com.